With hurricane Patricia in the news today, it occured to me to re-post this video, telling the story of Plant With Purpose’s founding in the aftermath of devastating hurricane David, which struck the Dominican Republic in 1979. As Hurricane Patricia threatens to devastate the Pacific Coast of Mexico, I thought I’d revisit some of the lessons we have learned about helping rural communities prepare and protect their land from the inevitable storms that they face. 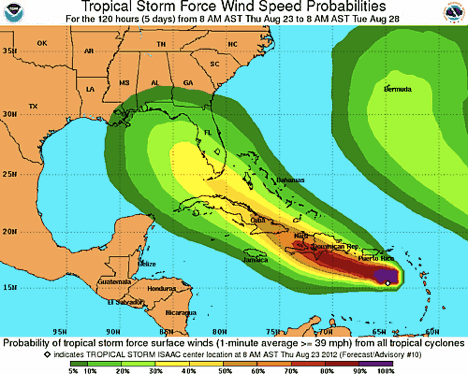 Below is a current wind speed map showing hurricane Issac approaching Haiti. 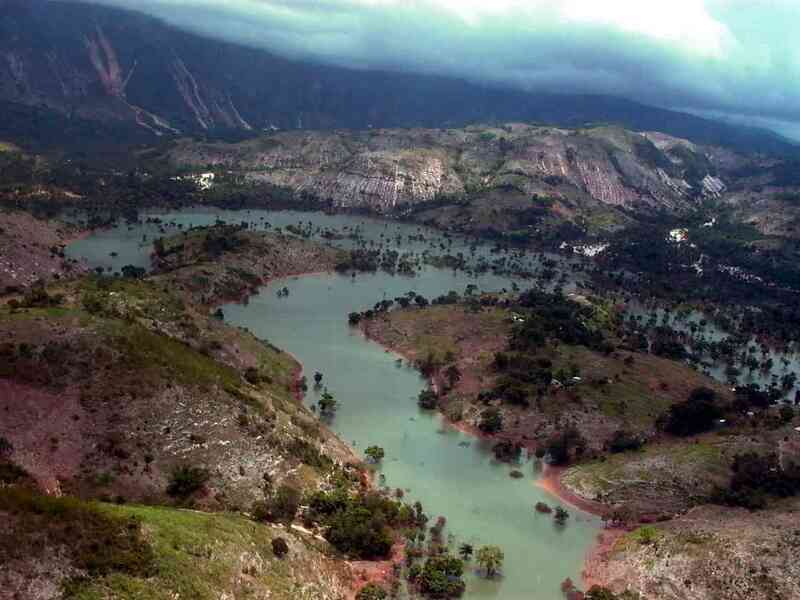 For us at Plant With Purpose, Patricia is a reminder of the extreme vulnerability of the tropical communities to severe flooding and landslides, such as those that occurred in the fall of 2008. In that season, four deadly hurricanes and tropical storms struck Haiti in a three-week period, killing over 1,000 people and leaving 100,000 homeless. After being hit by hurricanes “Fay, Ike, Gustav and Hanna,” families lost crops, homes, and thousands of animals—their food, shelter, and emergency savings. What we call a “natural disaster,” is in the case of Haiti sadly man-made, the result of Haitian farmers cutting wood to make the charcoal they sell in a desperate attempt to meet the needs of their families. In the aftermath of the 2008 hurricanes, Plant With Purpose Haiti’s technical personnel and group leaders reacted promptly. Emergency programs were developed that would address the needs of the people, have a sustainable impact on the environment, and promote the economic development of beneficiaries. 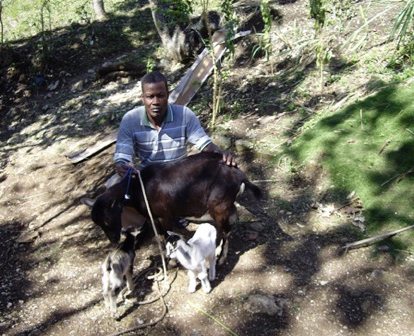 In all, Plant With Purpose was able to distribute sheep and goats to over 300 families to enable them to replace their lost animals. Plant With Purpose also provided bean seeds to replenish crops to nearly 2,000 families in 44 communities. These projects made a tremendous difference in the lives of people who had lost everything. The animals restore their economic safety net, and the beans give them hope for the future, as they were able to plant their land and become self-sufficient again. Building community resilience is vital. Farmers, who had lost hope in having sufficient seeds to plant, were able to make a new start. 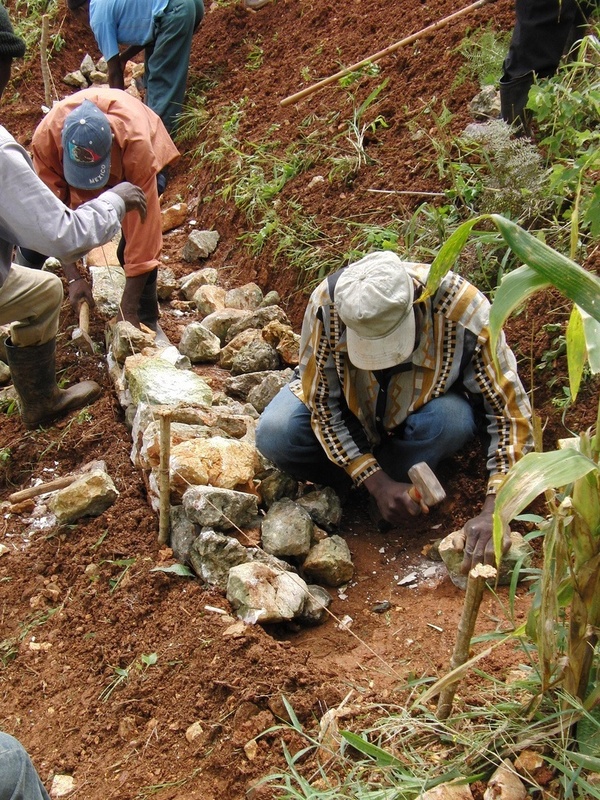 In the aftermath of the devastating earthquake that struck Haiti in 2010, Plant With Purpose built on the success of previous programs by instituting a Cash for Work program that employed over 2,500 people. Through this program over 400,000 trees were planted and 360 linear miles of soil conservation barriers were constructed on vulnerable, deforested hillsides. While we are yet to see the extent of the damage that Patricia will cause, we know that reforestation and soil conservation makes a difference. 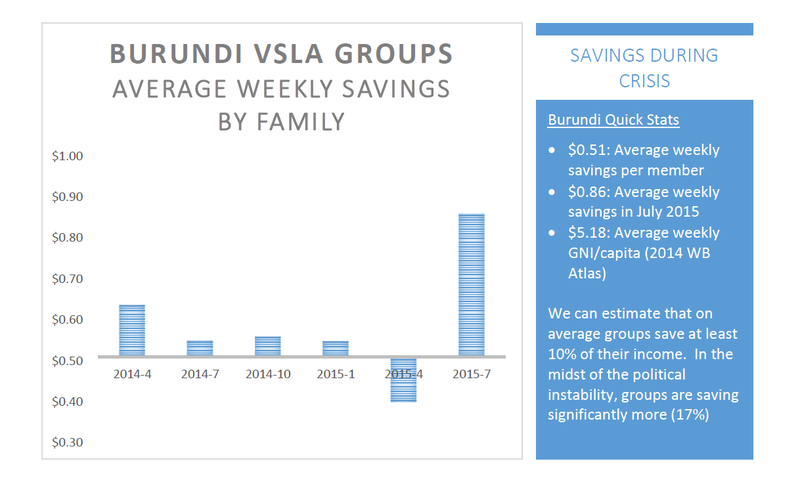 What does the increase in savings rate mean? While it might reflect a measure of fearfulness and lack of opportuntity to invest money on things like crop inputs, hopefully it also reflects the deep level of trust amongst that VSLA groups help to foster. 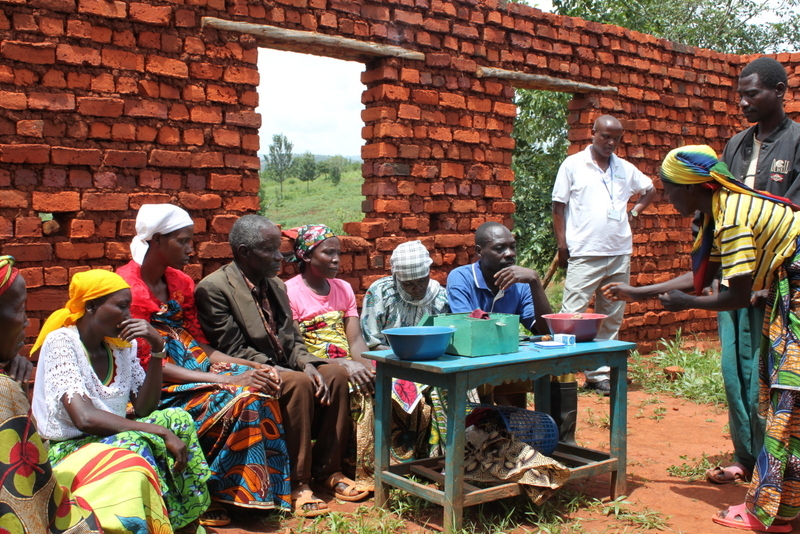 One would also hope that the trust fostered by these groups could also help prevent a deepening cycle of violence in Burundi.